Shiva is the God of Destruction and he is the third member of the Hindu Trinity. 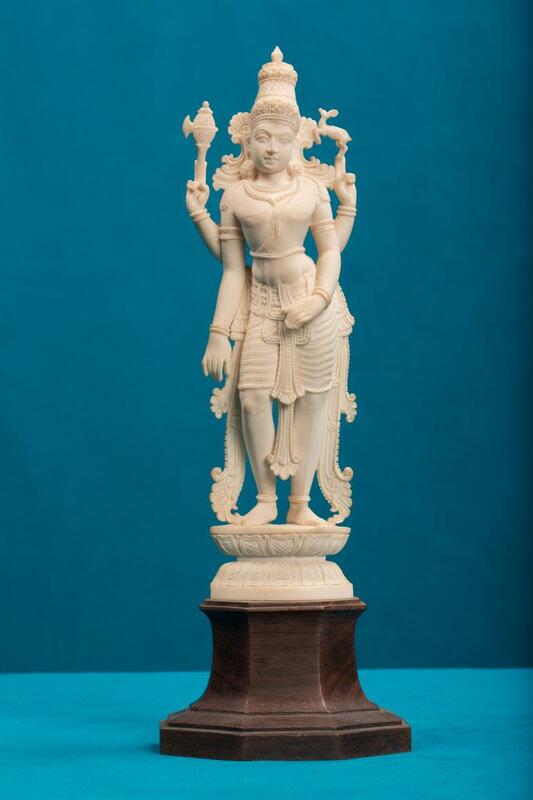 This is a stunningly carved image of Lord Shiva in standing posture. The figure has four hands and is seen standing on a lotus pedestal. The figure is adorned with lower garments and the usual ornaments.